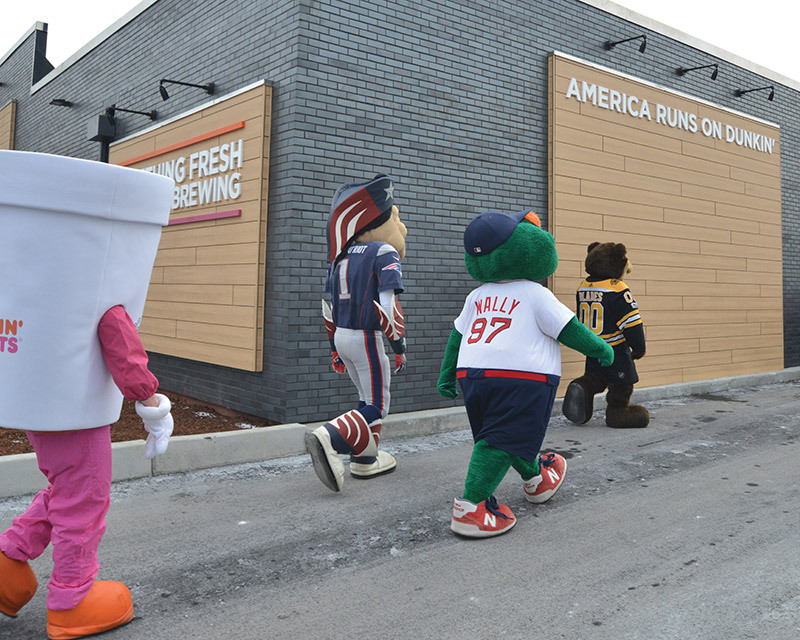 They’re the purveyors of Dunkin’s past and its future. 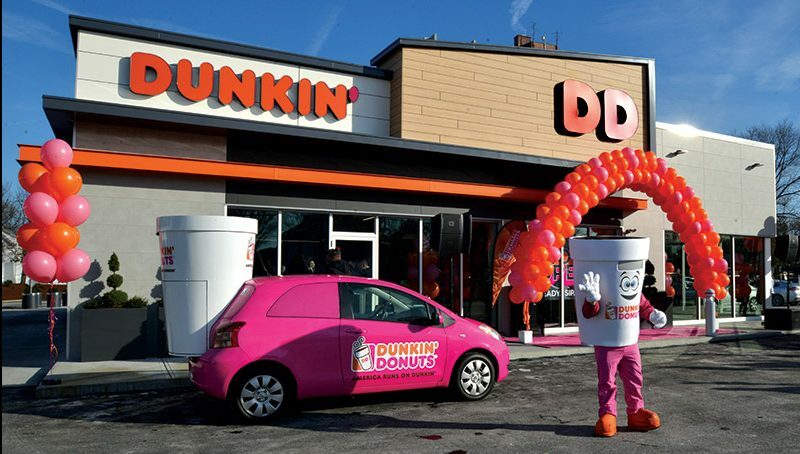 Brothers Victor and Octavio Carvalho offer a unique perspective on the Dunkin’ experience: running the world’s original Dunkin’ Donuts shop in Quincy, Mass., as well as the first of the chain’s Next Generation shops. Together, in this historic city that spawned two U.S. Presidents and the first signer of the Declaration of Independence, the siblings offer something for any Dunkin’ guest: at one, a neighborhood place to enjoy a cup of coffee and local chat; at the other, an efficient and modern stop to fuel up on drinks and snacks before heading off to work. 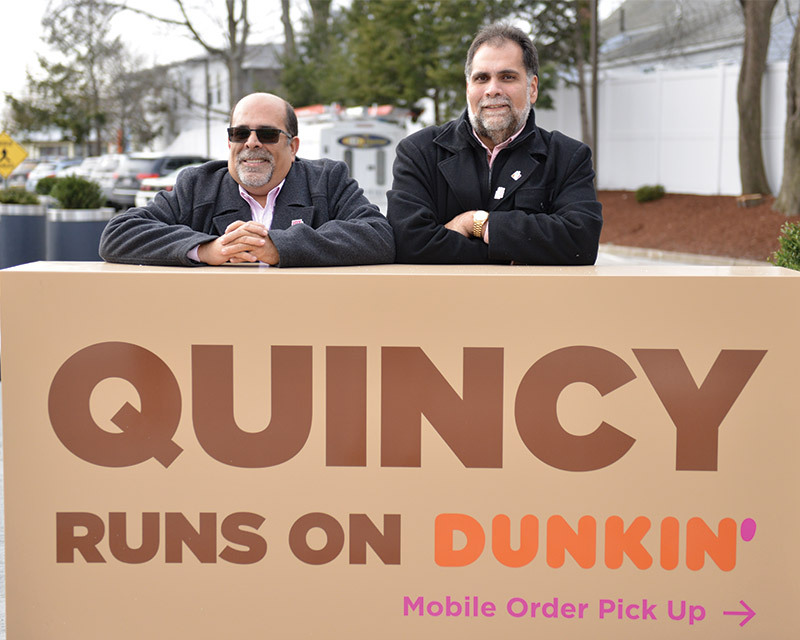 The brothers started working at the original Dunkin’ Donuts location, at 543 Southern Artery in Quincy in 1979, when their father Jose took over the business from Bertha Schwartz, the sister of Dunkin’ founder Bill Rosenberg, who opened the store in 1950. When Jose retired in 1994, the brothers took over. 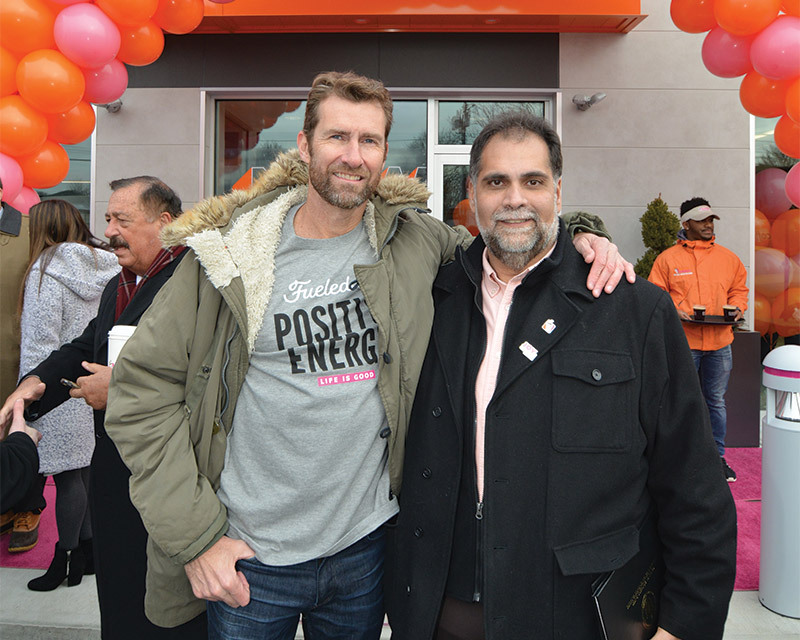 In January, 2018, Victor and Octavio launched the country’s first Next Generation Dunkin’ shop, at 588 Washington Street, just about a mile and a half away from the original location. 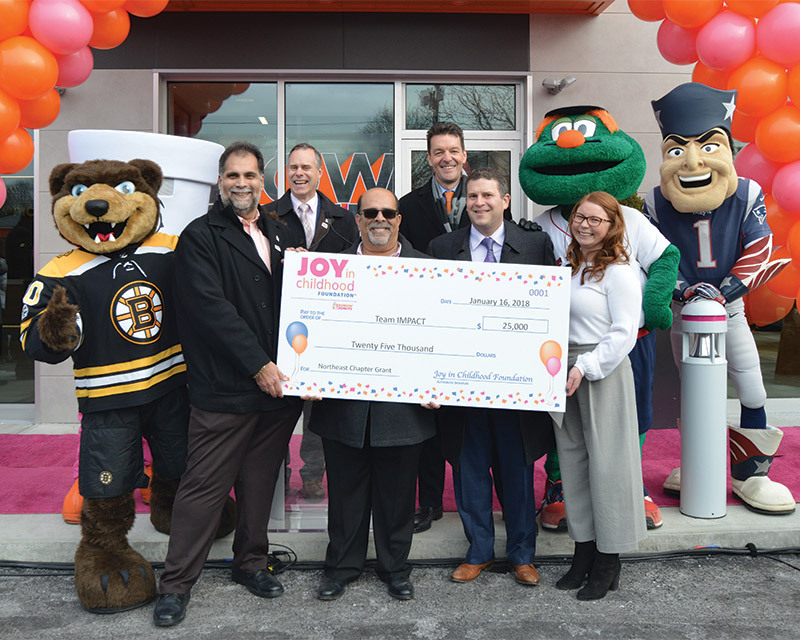 “It was like the perfect storm, to have the opportunity to open this new Dunkin’ near the original Dunkin’ Donuts and bring the new experience to the city where it all began,” Victor Carvalho said during the celebration of his Next Generation store’s opening this past January. 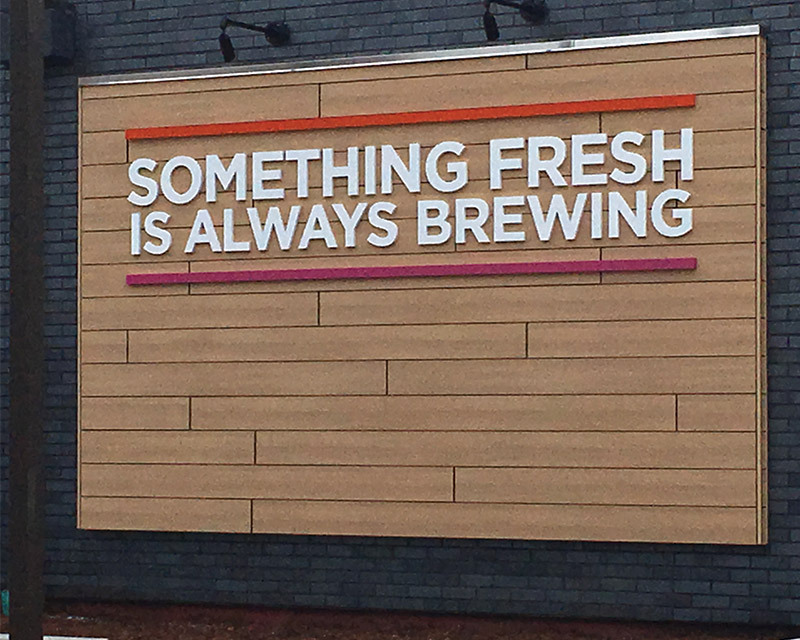 The new location – which, among other things, is known only by the name Dunkin’ – is designed to deliver what guests order as quickly and conveniently as possible, according to Dan Wheeler, the vice president of strategic initiatives for Dunkin’ Brands. These include an interior design featuring an open layout and plenty of natural light to charge the spirit and tableside charging stations for mobile devices. Guests can order beverages and snacks in several ways. 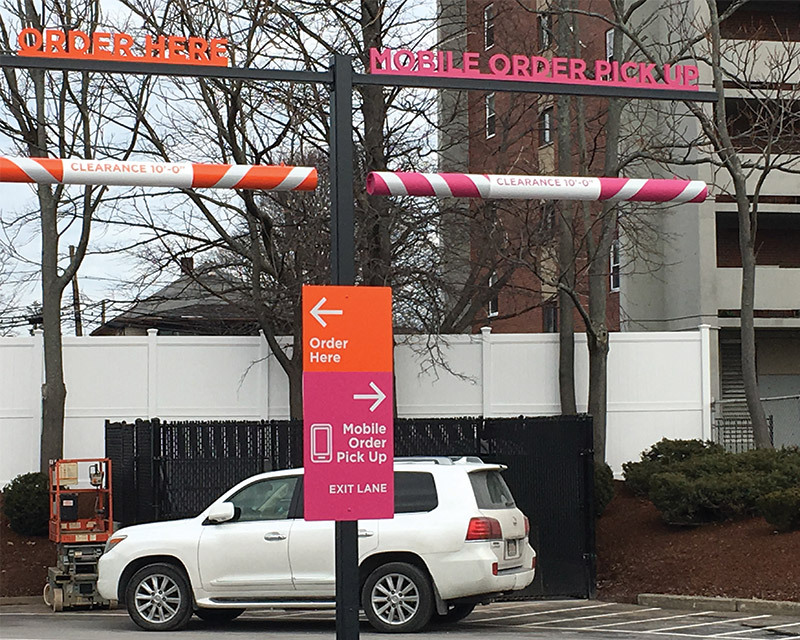 They can select what they want before even entering the parking lot through the Dunkin’ mobile app, then pick up their order inside the store at the dedicated pick up area, which features a digital screen that indicates when orders are ready. Guests can also choose to order through the app and pick up through a dedicated drive-thru lane. 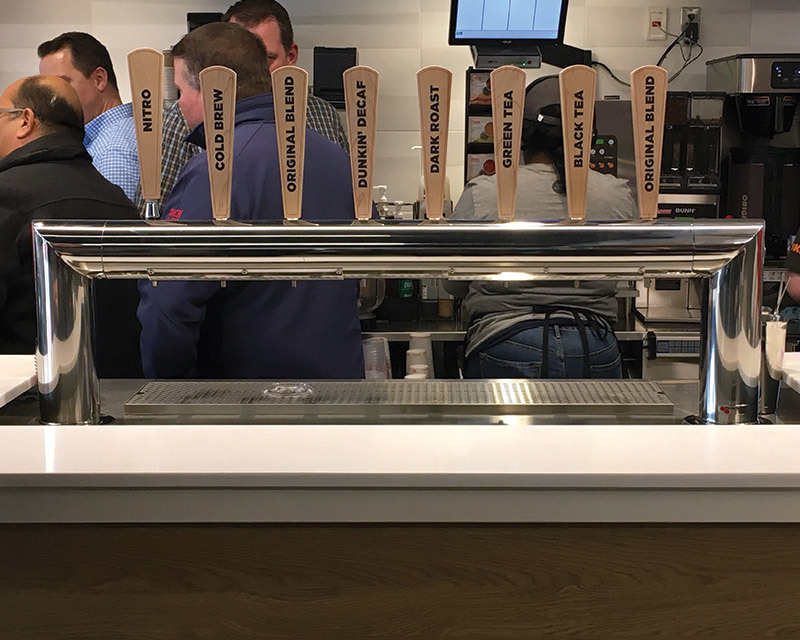 And, guests can order the old-fashioned ways, by walking up to the counter in person or driving up to the traditional drive-thru lane. 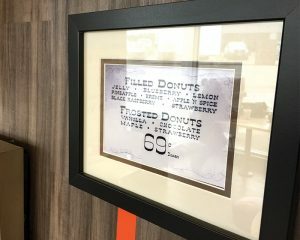 Once inside the store, donuts and other baked goods are visible from a front-facing glass display right near the cashier. A larger “Grab & Go” case offers healthier snacks such as bananas, oranges, grapes, Gogo Squeez apple sauce, Yoplait yogurt with Nature Valley granola, as well as beef jerky and nut butter packs. At the grand opening, Mathias Piercy, the director of combo operations for Dunkin’ Brands, demonstrated how Dunkin’ has taken the science of beverages to a new level, with innovations like a fully digital high-volume brew system for hot coffee that produces beverages with a consistent taste profile; a single-cup coffee brew machine for decaf and dark roast drinks, which keeps drinks fresh and minimizes waste; and an espresso machine with two dispensers and two steam vents to double the output and fill orders faster. While the Carvalhos were the first to open a Next Generation store, they aren’t alone. 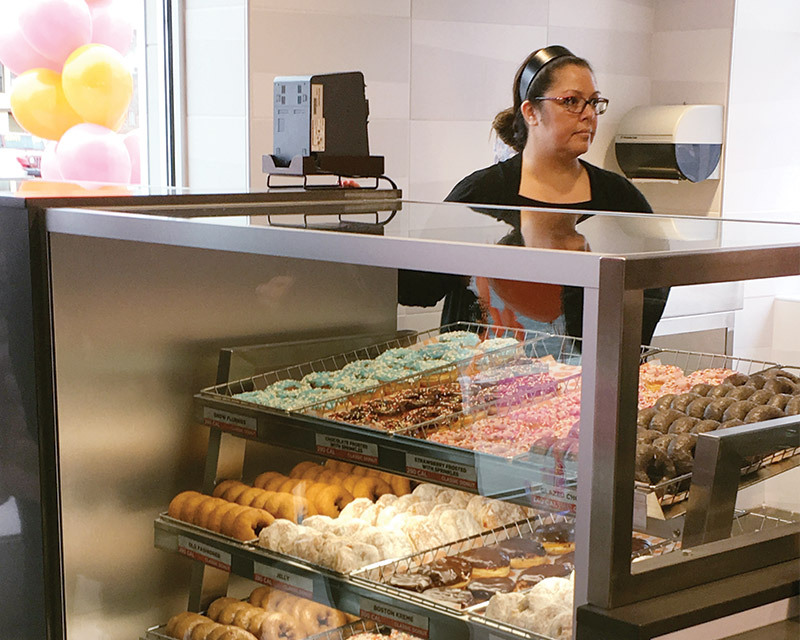 Franchisee Pareg Patel opened his new concept store in Corona County, California in late March and, according to Dunkin’ Brands, 50 Next Gen stores will be open throughout the country this year. 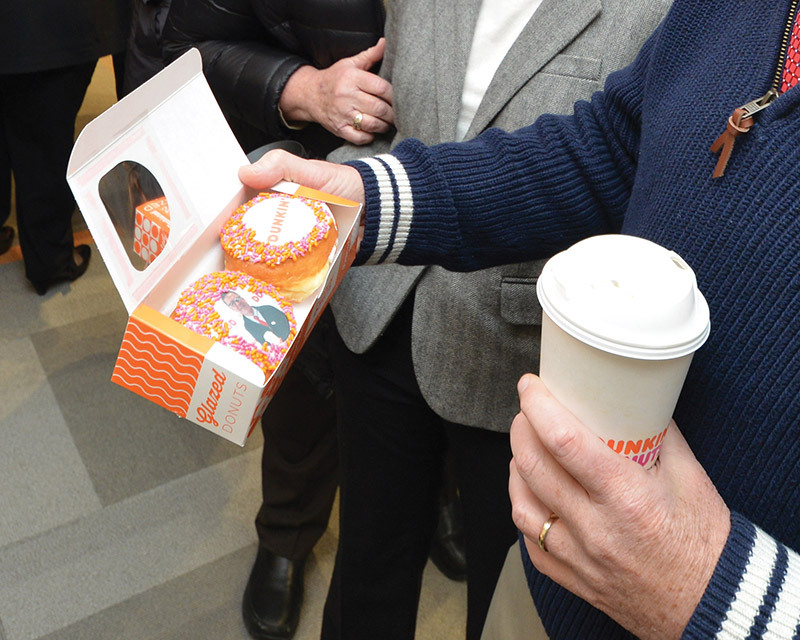 The Quincy location is also home to an innovative test lab that will evaluate early-stage options and technologies such as using facial recognition when placing orders, implementing 3-dimensional elements such as a donut hologram on a digital menu rather than 2-dimensional images, and creating custom donuts with images of a customer’s face imprinted on icing. Head down the street in this seaside community south of Boston and it is as if you stepped back in time. 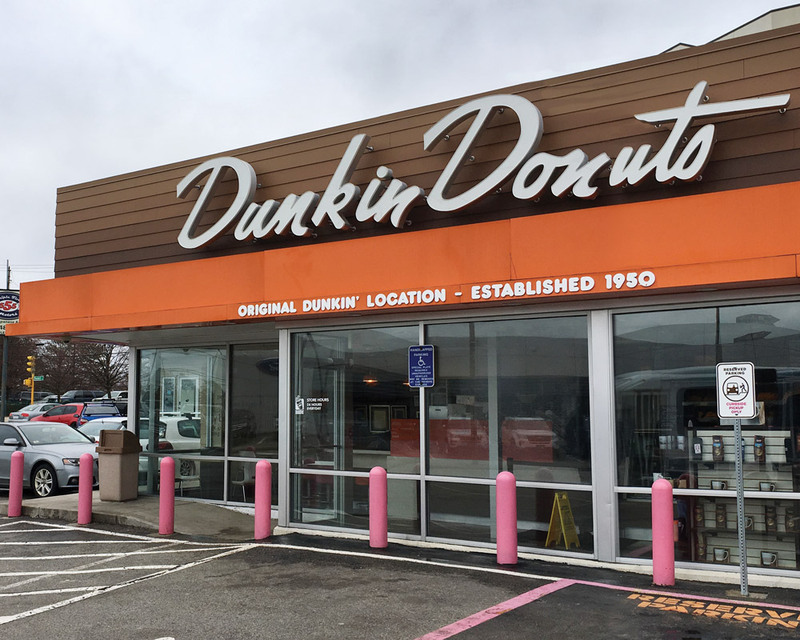 High above the original Dunkin’ Donuts location, which has been operating 24 hours a day since 1950, is a classic Dunkin’ Donuts sign—one of many touches designed to help the shop retain its mid-20th century feel. It’s an image so many Dunkin’ franchisees are accustomed to seeing since a framed photograph of the location has been hung in Dunkin’ shops across America. 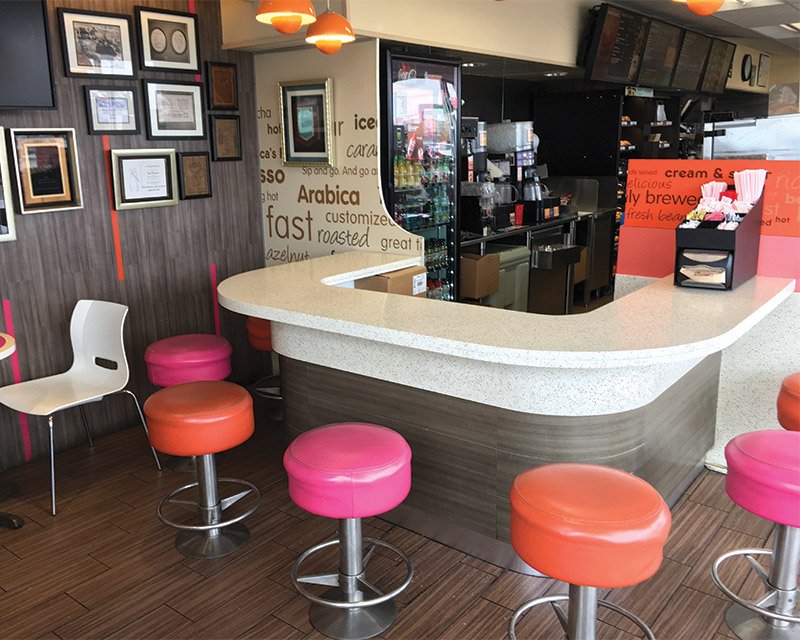 Originally, the shop was outfitted with a pink and white countertop and matching stools that filled the length of the shop’s interior. Reflecting the society of the 1950s, the counter was covered with china mugs for coffee, soft drinks served in glasses, metal spoons, napkin dispensers, and lots of ashtrays—covered with burn marks—for people to use as they sat, snacked, smoked, and schmoozed. As the calendar changed, people’s habits changed with the times. In the 1980s, the long counter and stools were replaced with a short counter at which customers could order their drinks and snacks and take them to go or to sit at a small table. “At that point, it was no longer about snacking and having a cigarette at the counter and hanging with friends,” says Carvalho. The store’s footprint remains the same as when it was built. There is no drive-thru because there was never room to build one. And the kitchen, which used to be visible through a large window inside the store, got smaller as two bathrooms were added in the 1990s to comply with Americans with Disabilities Act. In 2011, as the brand entered its 7th decade, the decision was made to restore some of the original features of the Quincy shop. 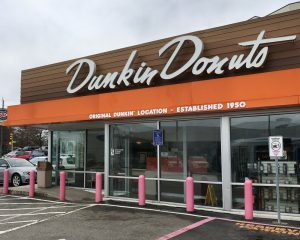 A replica of the vintage Dunkin’ Donuts sign was placed atop the building, a smaller counter with six stools in signature pink and orange Dunkin’ colors were added, and vintage lighting was installed to shine down on the countertop. The back of the store has a stainless steel covering, giving the shop a retro diner feel, says Carvalho. 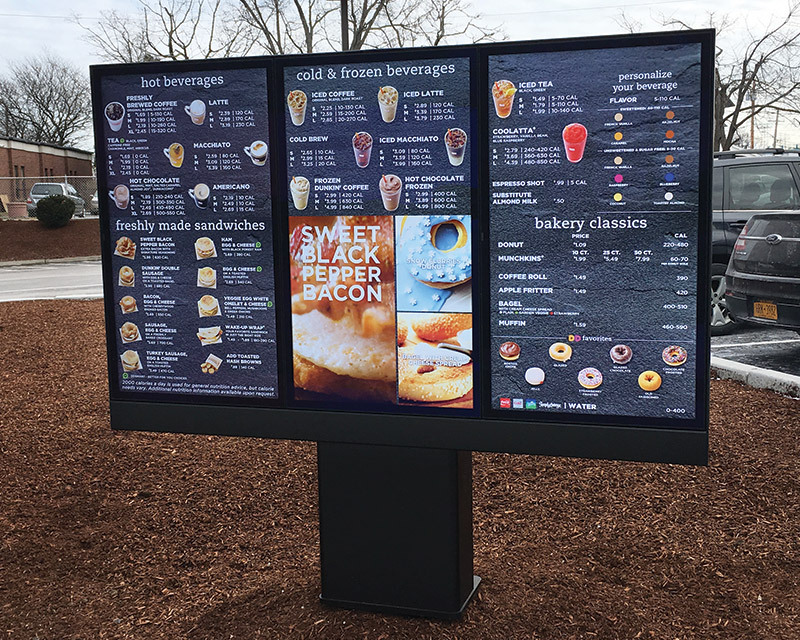 Back up the street, on-the-go customers are ordering ahead on their mobile apps and picking up their beverages and treats at their designated drive-thru lane. 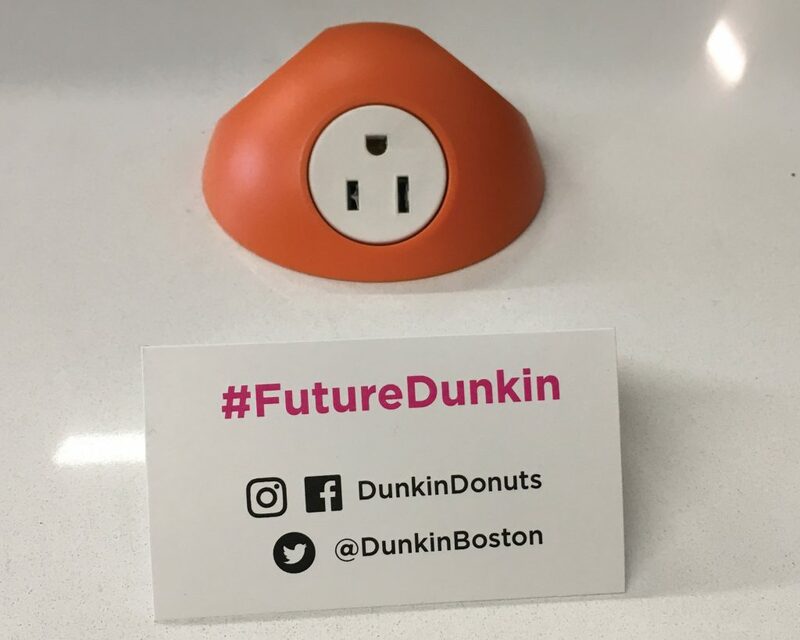 It is a great innovation, notes Carvalho, since Dunkin’ serves a large commuter crowd. 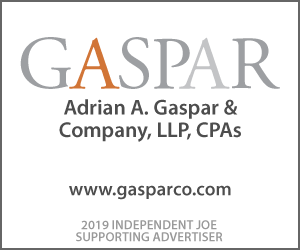 So far, the old and the new are attracting approximately the same number of customers each day, though one could argue the patrons at the original location are in less of a hurry. So which establishment does Victor prefer? 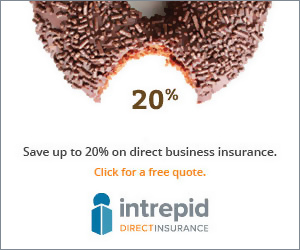 It’s an impossible choice, this long-time franchisee says. “It’s like trying to pick who is your favorite child. You have the baby with all this new stuff, but then there’s the older one who grew up in the back room. How they [behave] is somewhat different, but you love them both equally,” Carvalho says.